iPhone snaps of the simple breakfast I had this morning. Though it wasn't prepared by me, it was such a delicious combination that I decided it needed to be shared. I was in the mood for cottage cheese this week and my mom came up with this winning duo today. 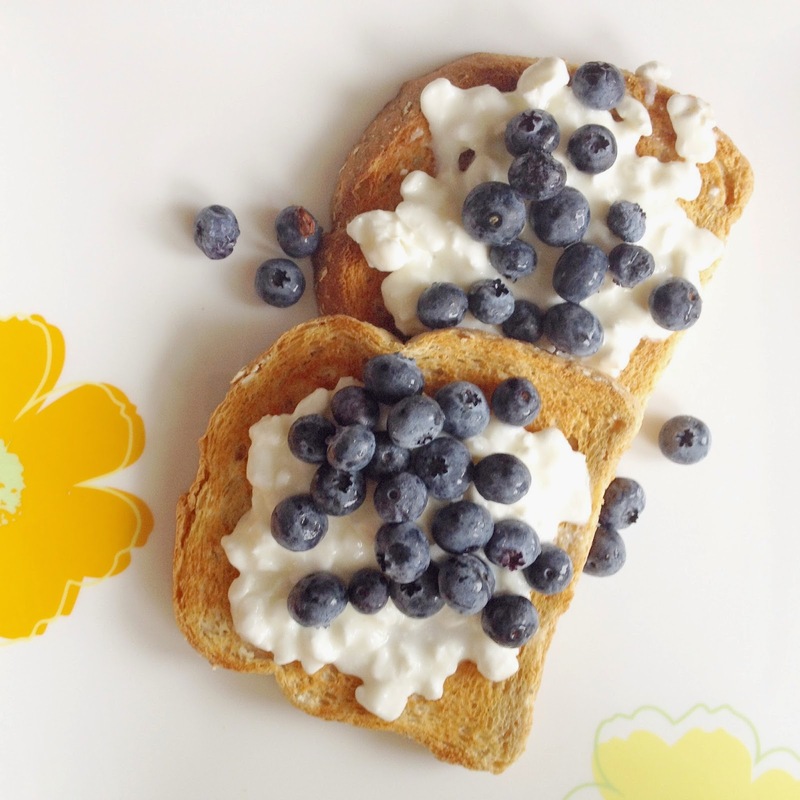 All you need is 2 pieces of toast (I prefer a low-calorie brand like St-Methode), 1/2 a cup of low-fat cottage cheese and 1/3 of blueberries. Easy!